Occasion or not, most of the times dad is simply great in making gifts. Again, call it a forced one or something else, just try to think how cool he's been to your nagging requests, 'get me this...' or 'get me that...'. So, don't you think it's time to stop the one-sided 'dad-rolling- out-gifts-for-you' show. Just plan out for a lovely gift, if not a way cool one, on the ensuing Father's Day'. Surprise him with his favorite stuff. If you're not sure about his choices, be creative in choosing from a range of gift items. It may be an accessory like a tie pin, a watchband, a penholder, a cardholder, a key ring, or, a phone book - digital or manual. Or, it may be a curio, a watch, a wallet, a nice looking pen, sunglasses of his favorite shade, even a base ball cap featuring his favorite team's logo. Or, in fact, anything he loves to have. If he loves gardening, gift him with a rare species of plant, say a flowering cactus, or an evergreen variety with all-season flowers. You can also present him a gardening robe, a head gear to keep away the sun, or a pair of light footwear. 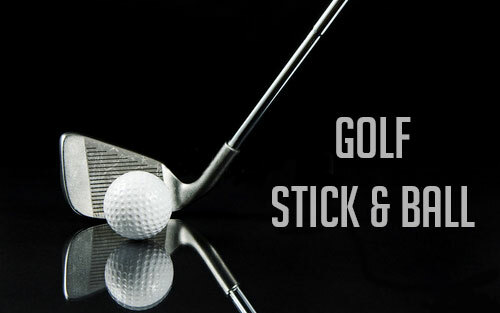 If he loves golf, a stick or balls of his dream brands will make him feel great. If he is a chess buff, gift him a designer variety of a chess set. Well, if he loves casual wear, buy for him the type and color and the brand he prefers. Why alone the casual ones, in fact, you can always add to his wardrobe collection. Be it a tuxedo, or a leatherwear - or, anything, that appeals him the most. Or, that, you think, will showcase his personality the best way. You can also buy him a ticket of the football match of his favorite team. If he is not that much 'sporty', buy for him a ticket to a theater or a concert of his choice. And if you are sure his passion with music, you can present him a harmonica as the musical outlet to his days of youth. You can buy for him a CD or DVD featuring his favorite old hits. Presenting a book may be the perfect gift for your dad. You can always present your dad a 'never failing friend'. Yes, right you are! A book. May be, authored by his favorite writer. You can also prepare for him a Father's Day special cuisine, or a cake with a "Happy Father's Day" icing on top of it. You can also try something different to make your dad feel special. Like, launching a Daddy's Day Dinner. Finally, whatever you do always try to spend some time, in fact as long as you can, together with your dad and wish him 'Father's Day wishes' in their best forms from a host of choices, with customized poems and quotes. Your dad will enjoy it the most. And, whatever present you decide to give please make sure to add to it a nice bouquet of June roses. A perfect theme flower for the Father's Day! Remember, it's not the price or quality of the stuff you give him or prepare for him, but it's the love, care and respect you attach with them, makes him the happiest. Let's face it, Dad is a hard man to please. Hence, we need to walk that extra mile to watch that smile on his face and the candid sparkle in his eyes when he removes that wrapper. Take a look at the rocking gift ideas we have in store all for you to make your dearest father really happy and smiling. Click on the link at the bottom of the page to share the ideas with others absolutely free. Who can possibly miss that legendary favorite necktie while talking about Father's Day?! Moreover, It's a perfect gift for Dads of all age group who looks forward to being gifted a wonderful tie, specially a silk tie. So make sure you have one gift wrapped too for your loving father. Mentioning neckties and not talking bout silk ties is not justified at all. 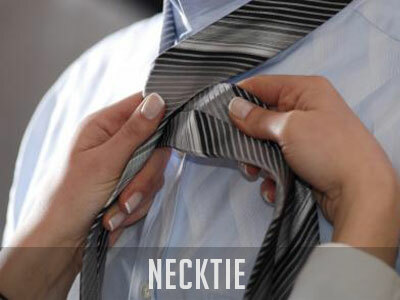 The silk ties are a hot favorite with the shoppers of Father's Day gifts along with greetings and flowers. It doesn't only look gorgeous but also, are easy on the pocket. Even kids can afford them for their wonderful Daddies. Handmade gift items will always have their appeal. Check the crafts section to know more about how they could be made. Donating to a social cause in the name of Dad on Father's Day would not only be a noble action for the society, but also, make our fathers proud of us and earn us our blessings from them in abundance. Planting trees for the eco-friendly Dad would also be a wonderful gift. Arrange a family gathering or a get-together specially for fathers. Declare their world of achievements for everyone around to appreciate. A Thank you speech at the end of the do would be a good idea to express your gratitude and honor to have them as fathers in your life. Time would be yet another gift on Father's Day. Not many of us are able to spend enough time with our parents anymore. Let's make an effort on this Father's Day to be with our dads and bond with good 'ol dad all over again. Gifting a pet to a pet lover dad is a fabulous idea for you are not only expressing love your love for your father, but also showering him with a bundle of happiness. And finally, a warm hug as gift, that speaks more than words to express your love and care for the one who means the world to you. It could never go wrong!!!! Garments, electronic gadgets, holiday package, accessories, sports gear, coffee mugs, paintings of famous artists, artifacts.